When I got up this morning it was cool and dreary. Within an hour the clouds started to break up and it looked like a great day for sightseeing. 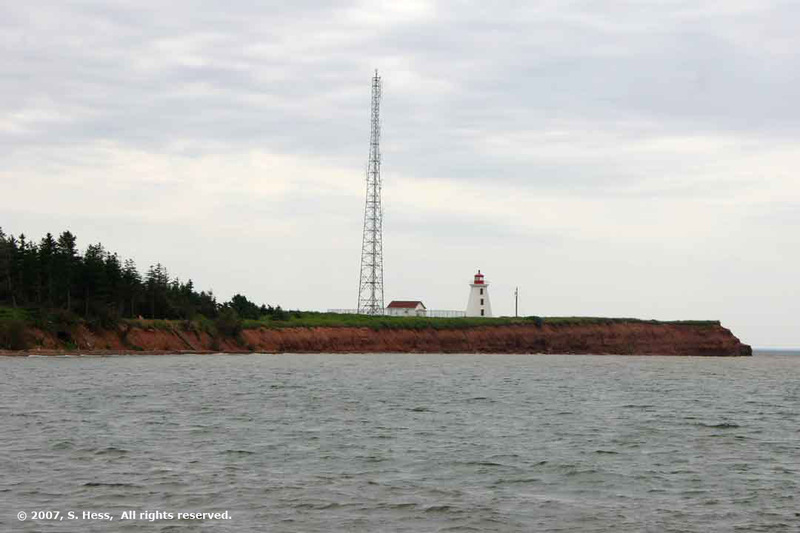 We headed towards the southwestern part of Prince Edward Island. 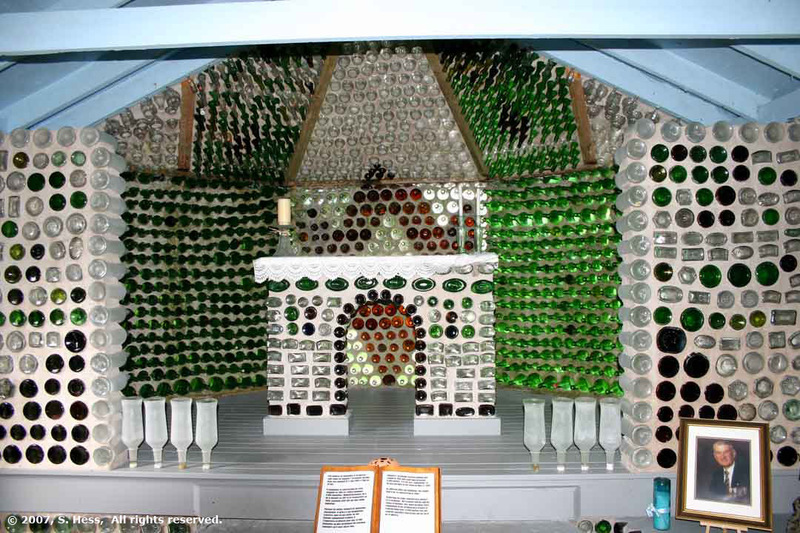 Our first stop was Cap Egmont and the famous bottle houses. 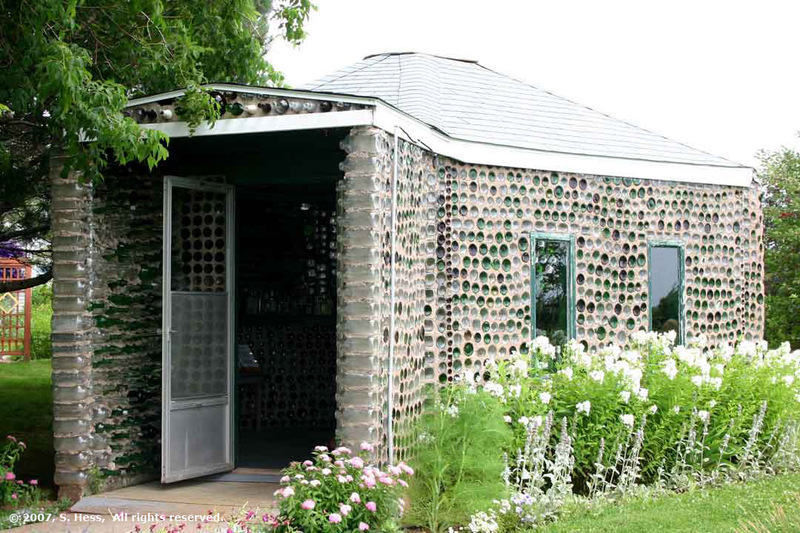 The bottle houses are listed in the book, “1,000 Places To See Before You Die.” I guess we can scratch this one off the list. 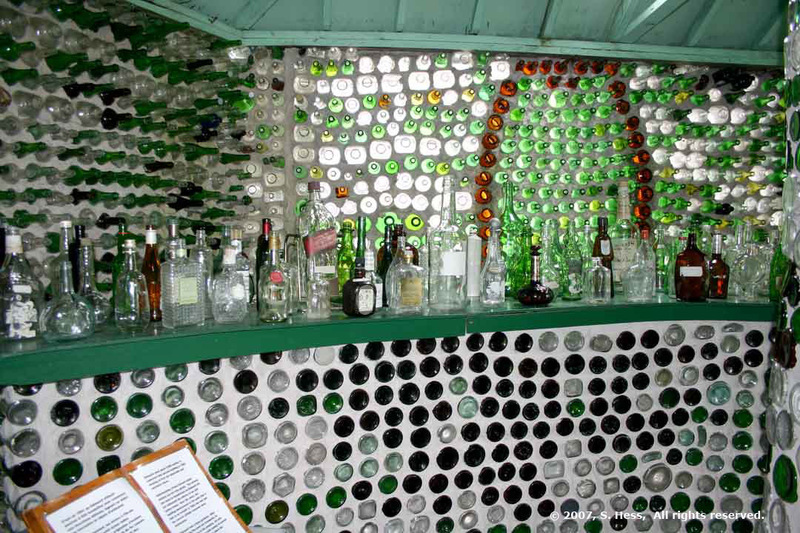 The whole place consists of three buildings made out of glass bottles (mostly wine and liquor), mortar and wood for the roof. 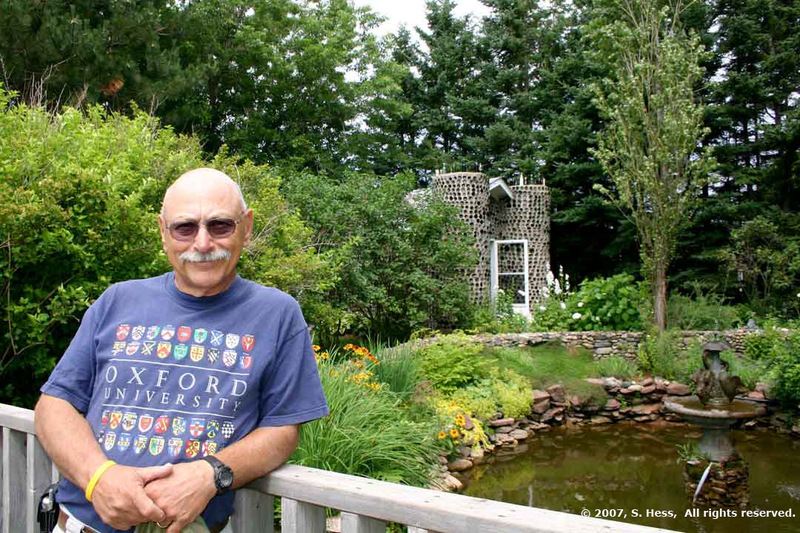 It started out as a hobby for the builder, Édouard Arsenault. 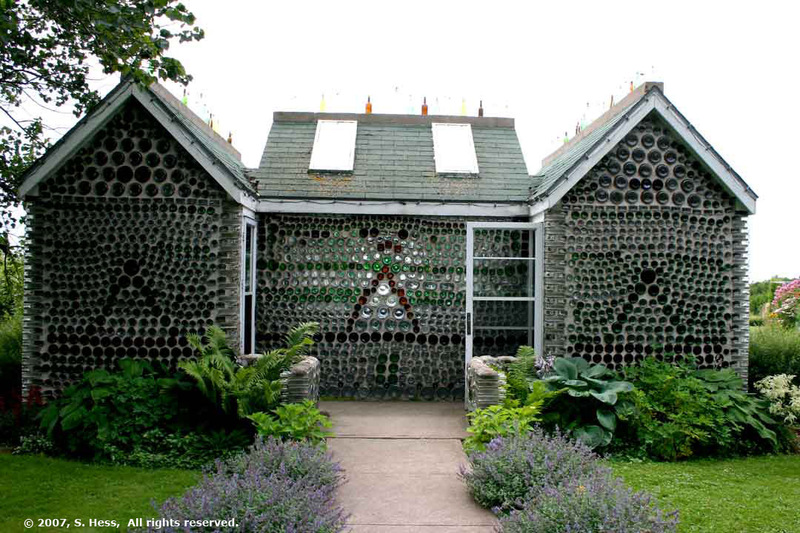 His daughter had sent him a postcard of a house made from bottles on Vancouver Island and he decided to build one. 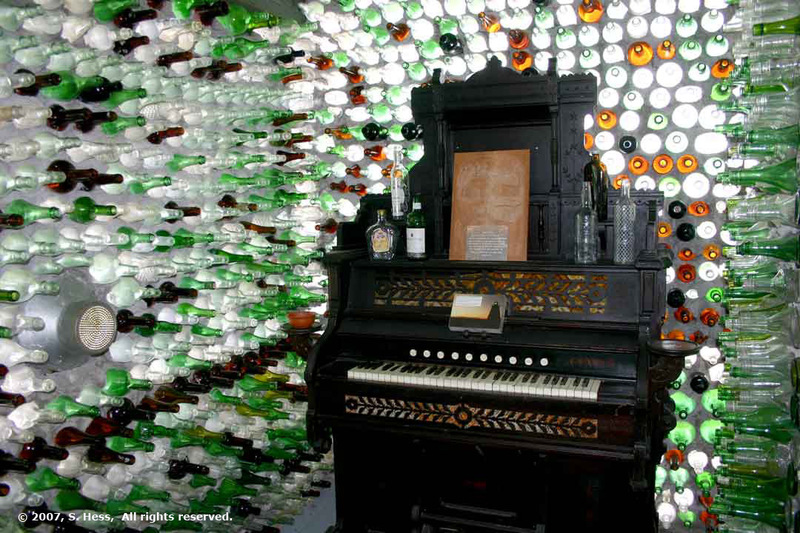 He started his first house in 1980, using approximately 12,000 bottles. 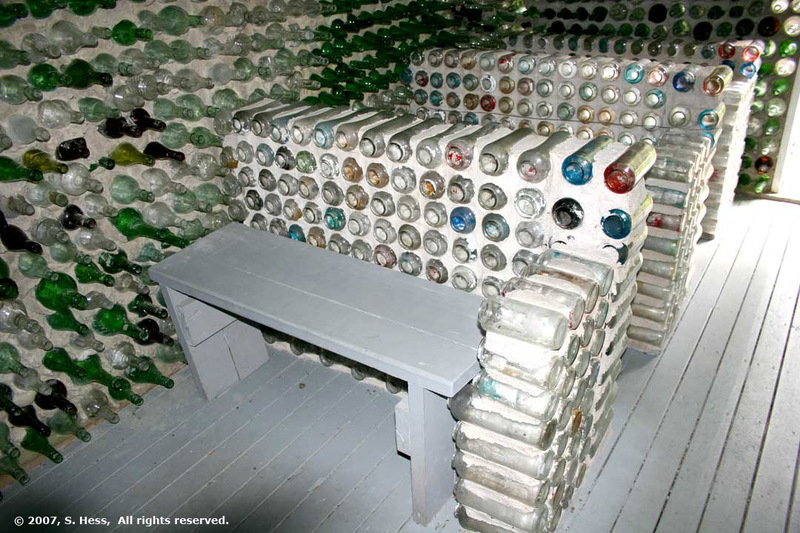 In 1982, Arsenault built his second house, the one with a bar in it, using about 8,000 bottles. 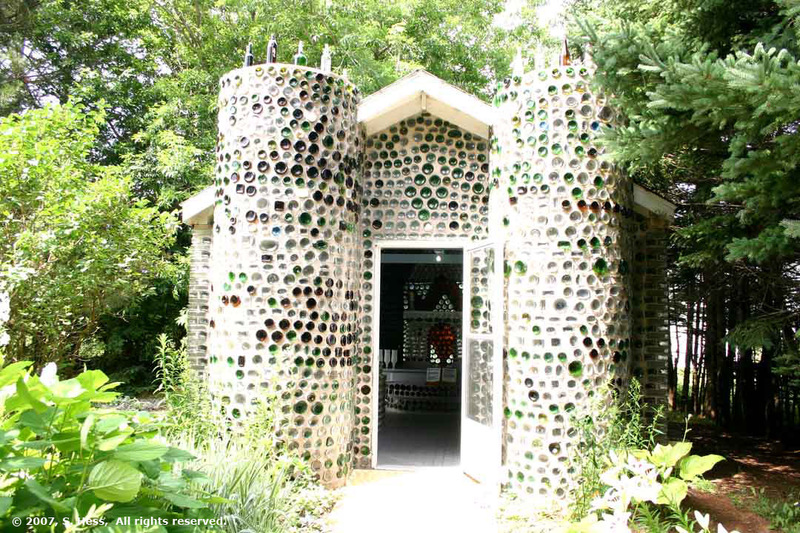 His final house was the chapel, built in 1983, with approximately 8,000 bottles. It was his last house… he died in 1984. Due to winter frost heave, the buildings had to be reconstructed in the 1990’s, using the original materials and methods. We then drove to the harbor at Cap Egmont and had our lunch with a view of the lighthouse. Our next stop was Summerside, one of the larger towns on Prince Edward Island. One of its highlights is the College of Piping and Celtic Performing Arts of Canada. It is the only school of its kind in North America. The college offers concerts of Celtic music and dance but we did not attend a show. Overall, we were not highly impressed with Summerside. To be fair, we only saw a piece of the town and it may not be representative of the whole town. 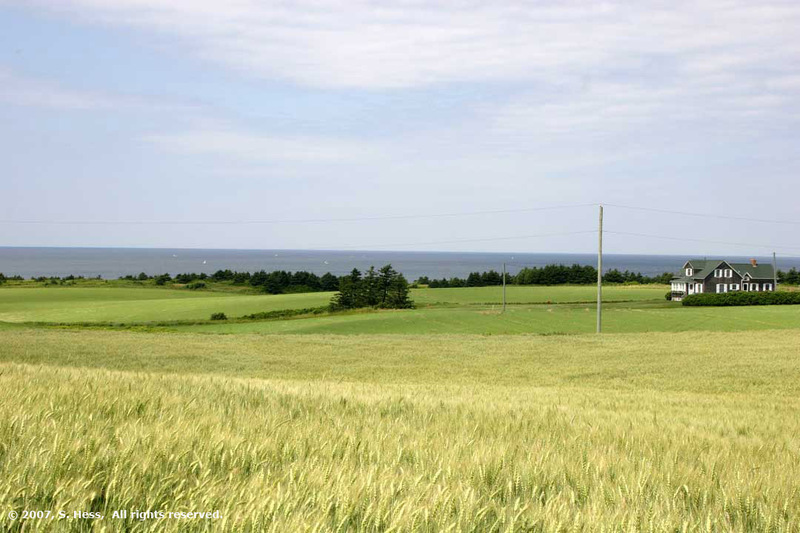 As we drove through a portion of central and western Prince Edward Island, you could see that agriculture is the primary component of the economy. Rolling hills dotted with farms, growing potatoes, wheat, and hay. In many places the farm fields run right up to the surrounding sea. Fishing is another obvious industry in the province. We passed many small fishing towns along our route today. As in other parts of the Maritimes, you get the impression that this industry is somewhat depressed because of the decline of the fish stocks in the surrounding Atlantic waters. The impression may be reinforced by the fact that the lobster fishing season is closed at this time and many of the lobster boats are tied to the docks or being worked on at the owner’s home. Lobster traps are sitting in the owners yards or at the docks. 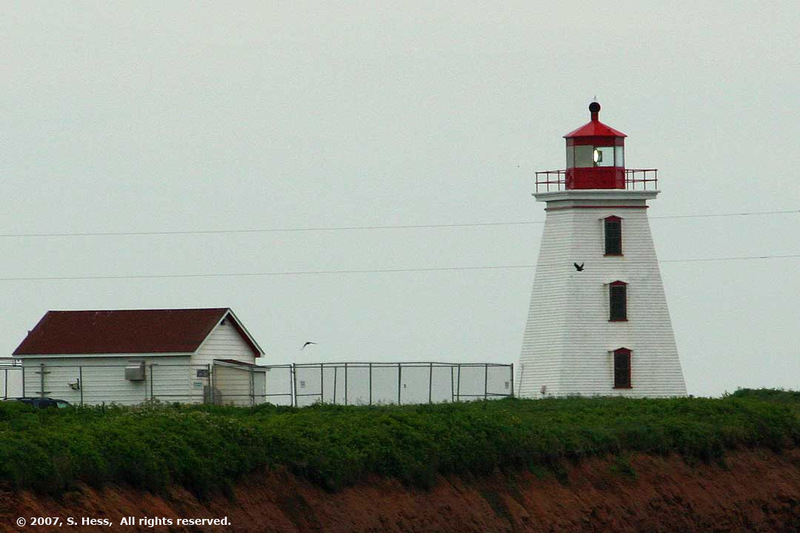 Cavendish, with its focus of Anne of Green Gables, is a tourist mecca. The Green Gables House, Avonlea Village and Lucy Maud Montgomery’s home are not the only tourist draw. There is a Ripley’s Believe It Or Not, a wax museum, a couple of amusement parks and loads of tourist oriented shops. 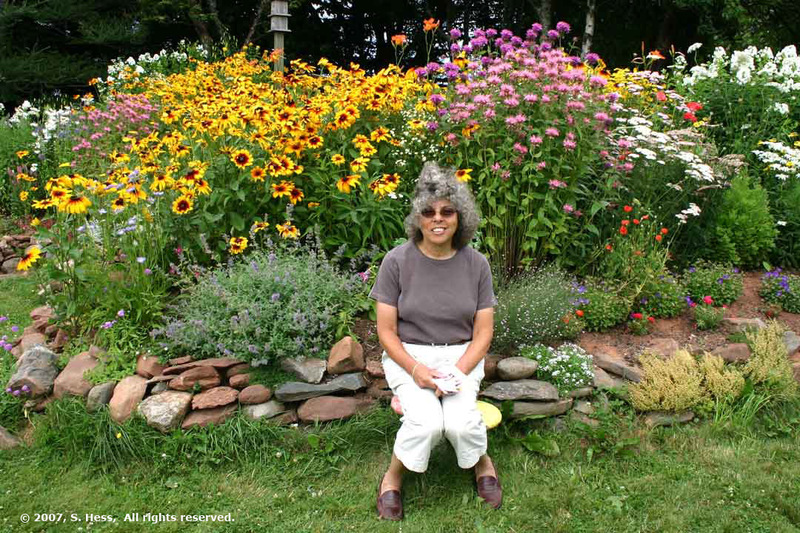 If we were to do this again, we would use the Charlottetown area as our base for a visit to Prince Edward Island. The Chapel exterior, above left and alter, above right. Note the construction of the pews, left... they are made of votive candles, some of which still contain wax residue. PEI farm field running to the edge of the sea. The white specks on the water are fishing boats.